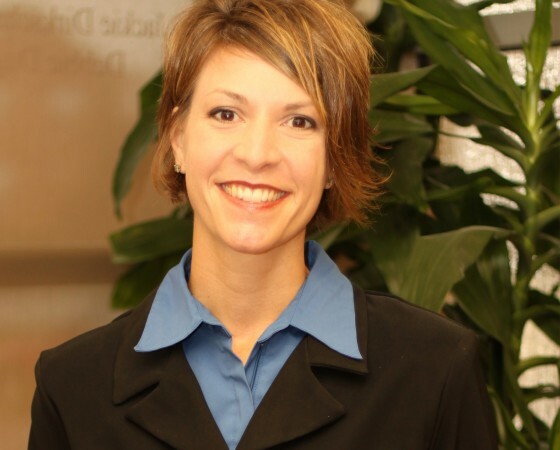 Renee, a Hebron, NE native, pursued a Bachelor of Medicine degree in Exercise Science from the University of Nebraska-Lincoln and continued with her dream attending the University of Nebraska Medical Center, earning her Clinical Doctorate of Physical Therapy in 2006. Renee has extensive experience in many areas as she displays a passion for assisting patients of any age and with various diagnosis. She began her career in Grand Island, NE, developing a love for out-patient rehabilitation at a sports clinic as well as specializing with pediatrics at the Children’s Rehab Center. Additionally, being closely associated with her sister’s battle with cancer, Renee became intrigued with reaching out to those going through cancer and developed a cancer rehabilitation program for those anticipating, currently going through, and following cancer treatments. She has educated others regarding indications for physical therapy to increase their strength, assist with range of motion primarily prior to and following surgical interventions, strengthen pelvic floor musculature for incontinence associated with prostate and cervical cancers, proper breathing techniques for lung cancer, as well as neuropathy commonly noted with cancer treatments. This quickly became a passion of hers and carried this into developing another cancer rehab program at the Carson Cancer Center in Norfolk, NE while employed there as well. Renee enjoys working with the pediatric population who have experienced neurological or orthopedic difficulties, as well as those not meeting motor milestones or difficulty with motor planning or coordination. Additionally, Renee has been trained with vestibular rehabilitation and also enjoys assisting those with balance problems, prosthesis training, and pre- and post- operative patients. Renee’s ultimate goal is to be an inspiring physical therapist to empower those she works with to reach their most full potential. Renee has further continued her pursuit of helping those with cancer by becoming a Certified Cancer Exercise Trainer (CCET) accredited throught the American College of Sports Medicine (ACSM) and the American Cancer Society (ACS). In her free time, Renee enjoys spending time with her family and friends and is active with her church.